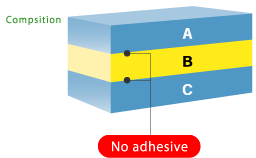 Adhesiveless laminate materials｜Kawamura Sangyo Co.,Ltd. ・Polyimide laminate board which is manufactured by direct bonding of polyimide film which surface is activated by plasma treatment. 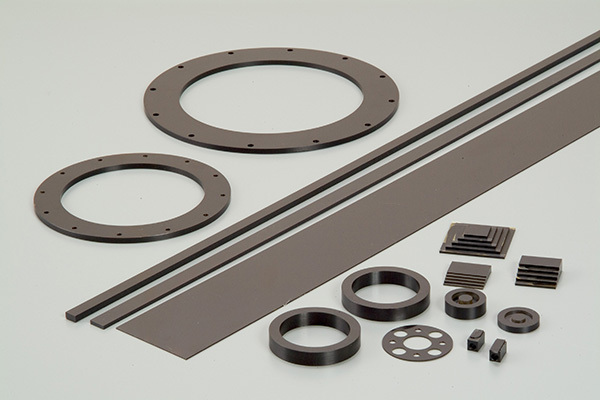 ・Polyimide laminate board exhibits excellent thermal resistance and mechanical properties. Namli® is a high performance multilayer electric insulating material which is manufactured by direct bonding of heat resistant insulating materials without adhesive. 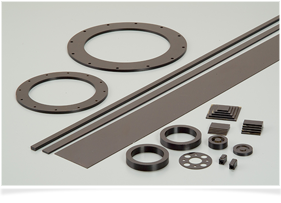 Namli® exhibits excellent properties, such as heat resistance, oil resistance, hydrolysis resistance and thermal conductivity, which are required for HEV and EV applications. 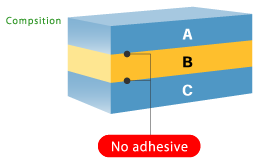 ①Thin material resulting in superior heat conductive property is available as adhesive is not used. 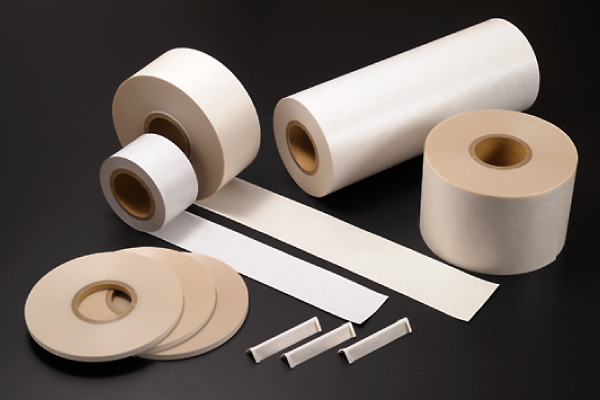 ②Namli® shows good varnish impregnation performance as aramid paper is used for both surfaces. ③No volatile organic compound (VOC)is emitted during the manufacturing process as Namli® is manufactured by dry processes in which adhesive or organic solvent are not used. ④Downsizing and high reliability of motors are realized. 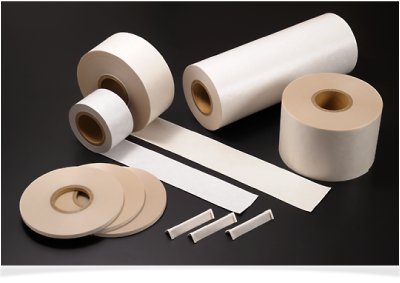 ①NOMEX® and PPS film "TORELINA®" are bonded without adhesive, and superior performances of NOMEX® and TORELINA® are fully utilized. ③NSN is suitable for the insulating materials of motors of HEV/EV and generators. ④NSN shows good varnish impregnation performance as NOMEX® is used. ①NKN is a super heat resistant insulating material which exhibits extremely high heat resistance. ②Excellent property of KAPTON® is fully utilized. ③NKN shows good varnish impregnation performance as NOMEX® is used. NOMEX® and KAPTON® are registered trademarks of E.I. du Pont de Nemours and Company. TORELINA® is a registered trade mark of Toray Industries, Inc. Namli® is a registered trademark of Kawamura Sangyo Co., Ltd.